A hearse pulls up along side an airplane carrying the body of U.S. Navy Gunner's Mate 2nd Class Noe Hernandez on Friday evening at the McAllen-Miller International Airport. Hernandez is one of seven sailors who was killed on June 17 aboard the USS Fitzgerald in the waters off of Japan when a cargo ship ran into the vessel. Gunner’s Mate 2nd Class Noe Hernandez has come home to the Rio Grande Valley. McALLEN — Gunner’s Mate 2nd Class Noe Hernandez has come home to the Rio Grande Valley. 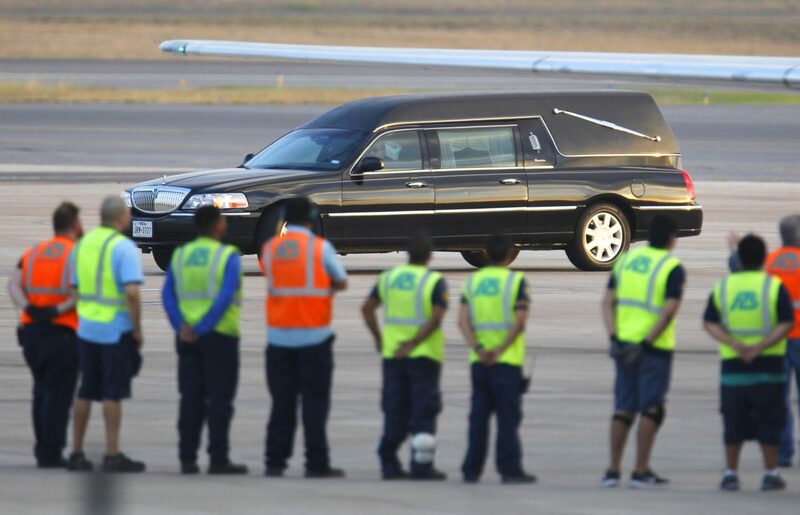 In a solemn, private ceremony, Hernandez’ body arrived at McAllen Miller International Airport aboard a commercial aircraft where he was transferred to a hearse and taken to an unknown location, escorted by a contingent from the McAllen Police Department. It’s been two weeks since Hernandez and six of his fellow sailors were killed when a U.S. Navy destroyer collided with a cargo ship off the coast of Japan. 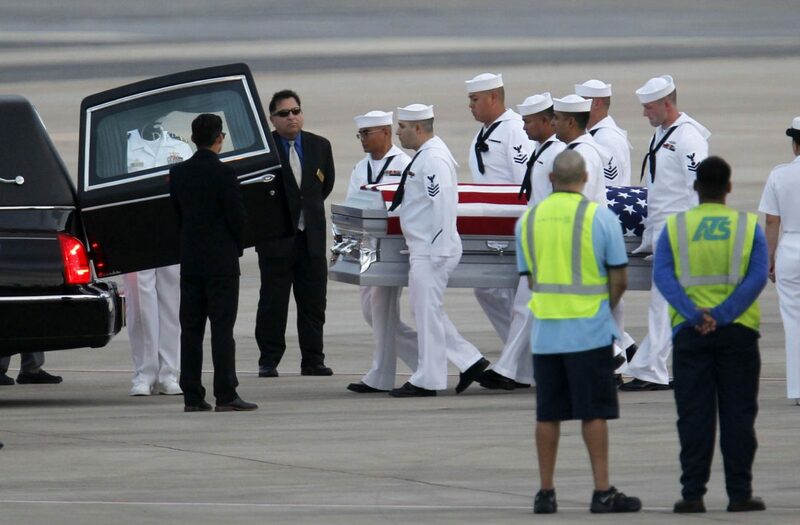 A U.S. Navy honor guard accepts the body of Gunner's Mate 2nd Class Noe Hernandez after the airplane carrying his remains landed Friday evening at the McAllen-Miller International Airport. Hernandez is one of seven sailors who was killed on June 17 aboard the USS Fitzgerald in the waters off of Japan when a cargo ship ran into the vessel. 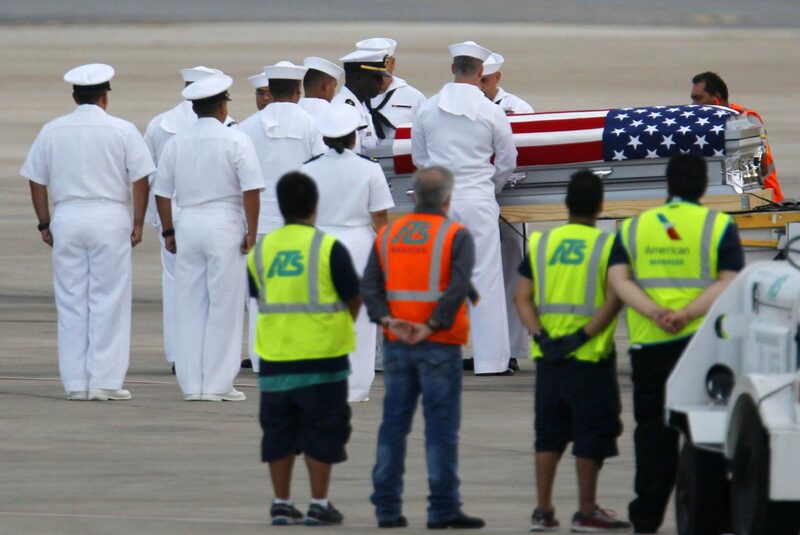 A U.S. Navy honor guard carries the body of Gunner's Mate 2nd Class Noe Hernandez after the airplane carrying his remains landed Friday evening at the McAllen-Miller International Airport. 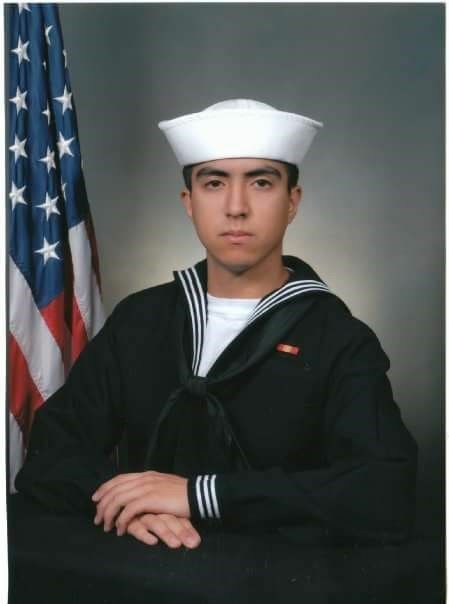 Hernandez is one of seven sailors who was killed on June 17 aboard the USS Fitzgerald in the waters off of Japan when a cargo ship ran into the vessel. 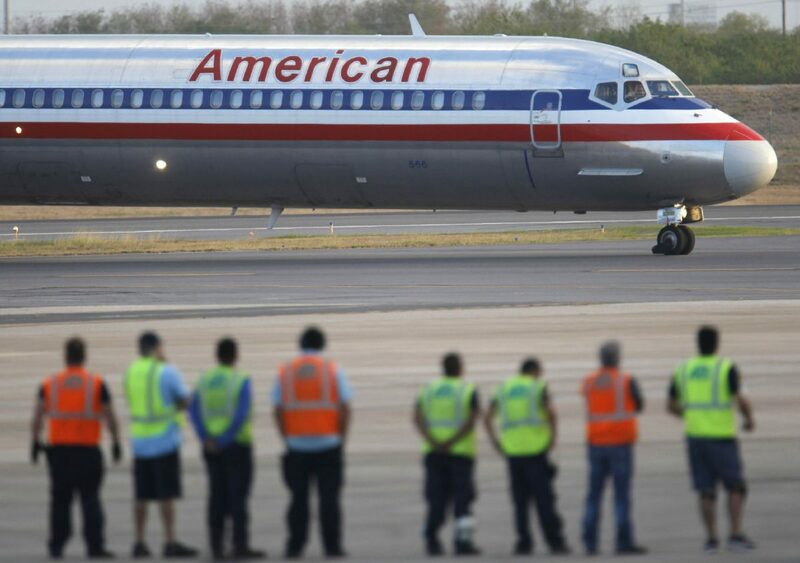 An American Airlines flight carrying the body of U.S. Navy Gunner's Mate 2nd Class Noe Hernandez arrives Friday evening at the McAllen-Miller International Airport. Hernandez is one of seven sailors who was killed on June 17 aboard the USS Fitzgerald in the waters off of Japan when a cargo ship ran into the vessel. The American Airlines flight from Dallas that carried his body arrived at 8:13 p.m., according to flightaware.com as a dozen U.S. Navy sailors stood at attention along the tarmac. His family stood quietly adjacent to a waiting hearse. Half of the Navy contingent carried the silver casket, draped with the American flag, to the hearse as airport ground crew stood silently at attention. The family received the casket in preparation for what is scheduled to be a procession from the airport to his hometown of Weslaco on Saturday morning. A six-car convoy — two of them police cars — drove away from the tarmac to an unknown location. Saturday’s procession is scheduled to leave the McAllen airport at 10 a.m. and is scheduled to pass by his boyhood home before reaching its destination at Del Angel Funeral Home in Weslaco. His burial is scheduled for Thursday, but no further details have been confirmed. Hernandez, 26, and seven other U.S. Navy sailors died on June 17 aboard the USS Fitzgerald in a collision with the ACX Crystal, a Philippine-flagged container ship much larger than the U.S. Navy destroyer. The collision occurred southwest of Yokosuka, Japan, where the Fitzgerald and the U.S. Navy Seventh Fleet are based. Hernandez’s family and the survivors of the Fitzgerald’s 300-member crew recently attended a memorial ceremony held there. Flags at municipal, state and county buildings in the Rio Grande Valley are flying at half-staff until the day after the burial, as ordered by the governor’s office and Hidalgo County Judge Ramon Garcia. The U.S. Coast Guard, U.S. Navy and Japanese authorities are conducting an investigation on the collision.